Looking for that perfect gift idea? Well look no further! 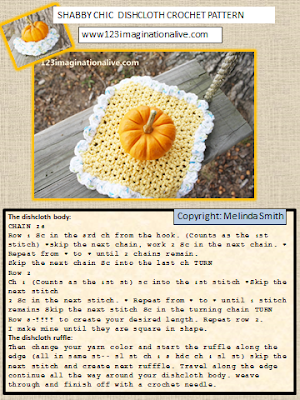 This pattern is perfect for helping you create that unique gift for the foodie in your life. 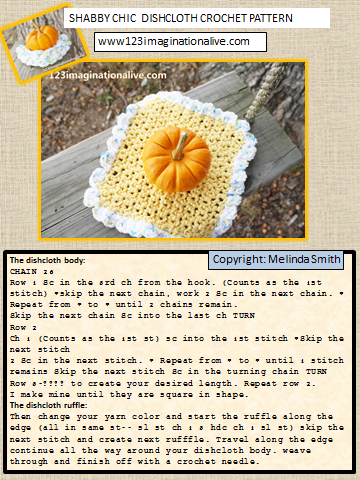 You will be able to download and print your FREE copy of this crochet pattern at the bottom of this post! 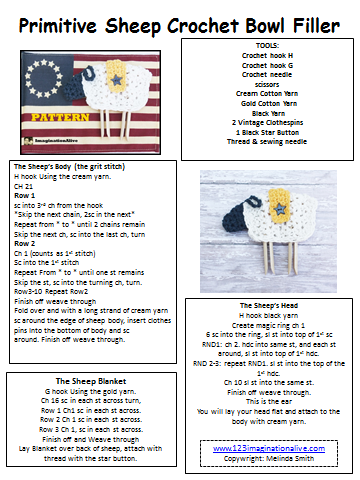 The advertisements on this page help keep my patterns free! Thanks..
No more burning your hands while cooking with your favorite cast iron skillets! This pattern works up quick and thick. Tested over and over, you will not get burned with one of these crocheted handles on your skillet. The fluffy flower is a perfect spot to place you thumb while moving your skillet around. All crocheted in cotton yarn including the flower center. 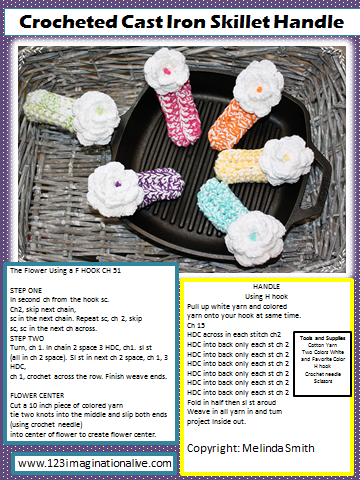 You can omit the flower and leave the crochet handles plain. These make great items for your craft fair, shops and venues. 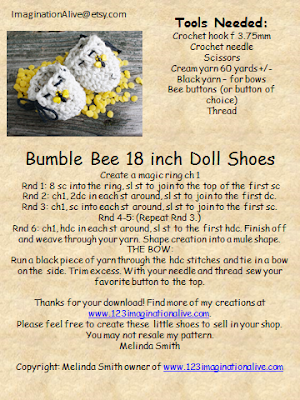 I do ask that you give my blog a shout out if you download my pattern. You can download and print your copy Here! Or you can keep this page open and follow along from your favorite device or tablet! More crochet patterns to download and print Here! Don't know how to crochet yet? Don't fret you can learn how HERE! 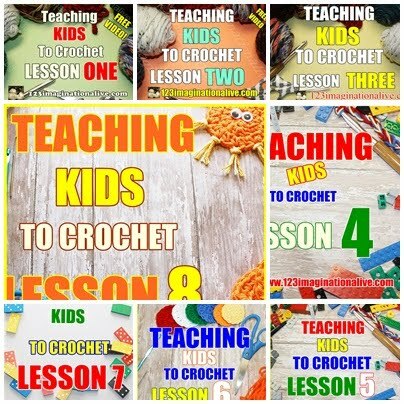 Follow me at the top of the BLOG! We are on Facebook, Twitter and more! Hope you enjoy creating your skillet handles as much as I have!